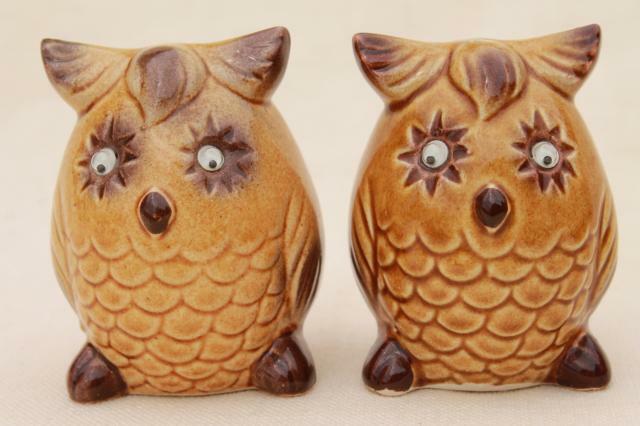 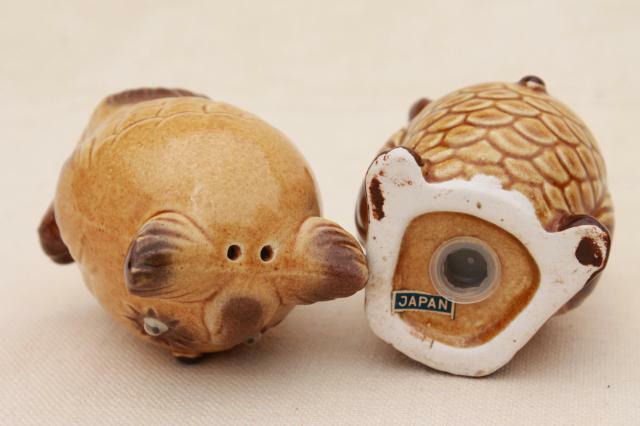 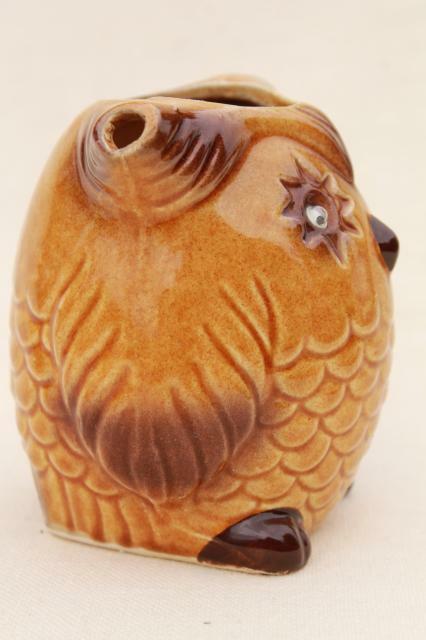 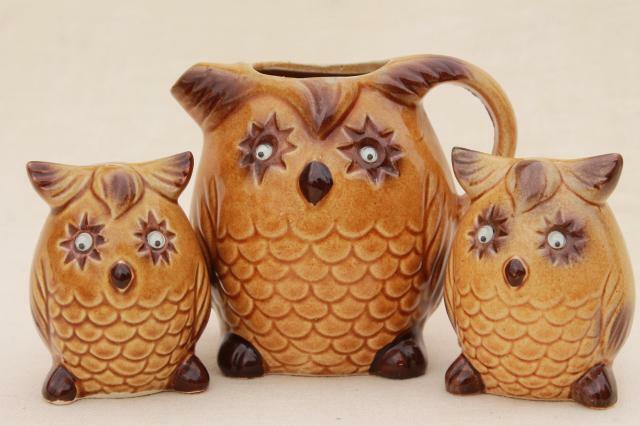 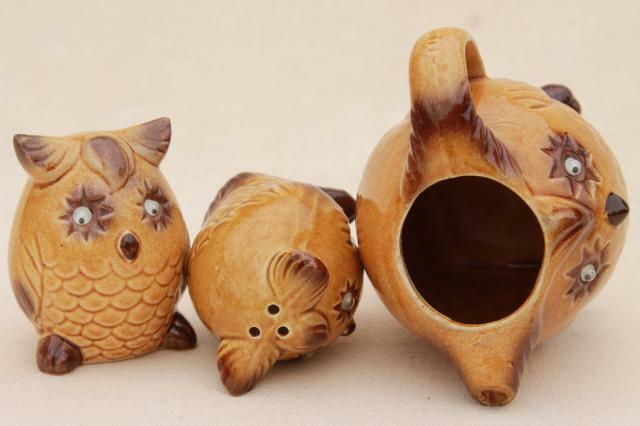 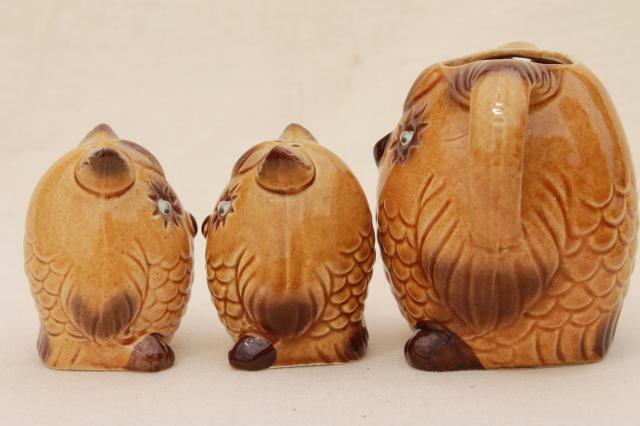 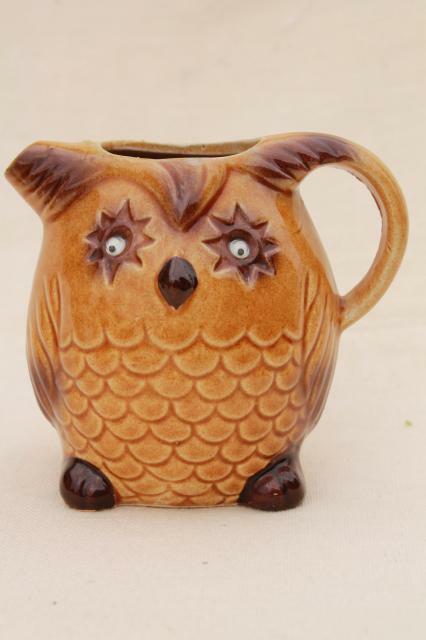 70s vintage ceramic owls salt and pepper shaker set and a cute little milk jug or cream pitcher. 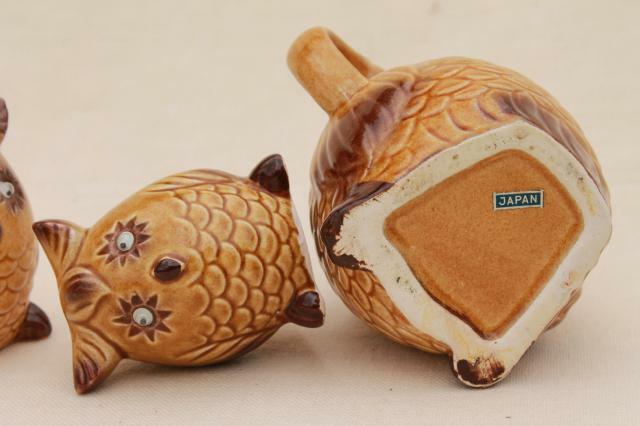 The pitcher is about 3 3/4" tall. 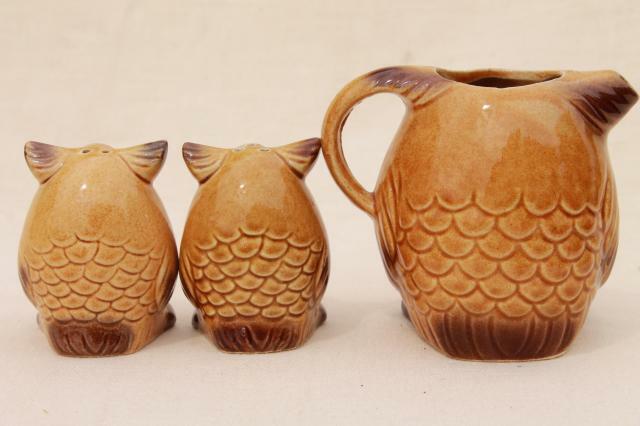 These are all in very nice condition without chips or cracks.